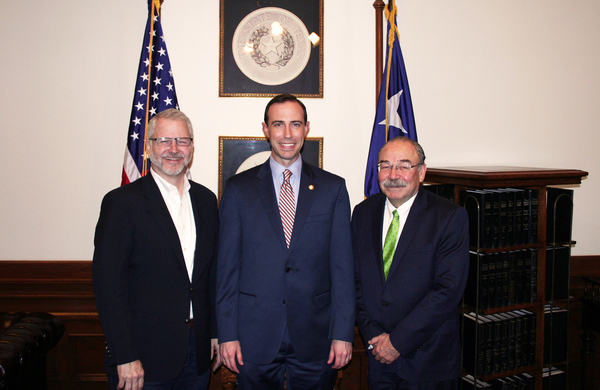 "I am confident we can continue to work together to make election administration more efficient in the State of Texas"
AUSTIN, TX – Texas Secretary of State David Whitley today hosted a meeting with Texas Democratic Party Chairman Gilberto Hinojosa and Republican Party of Texas Chairman James Dickey to discuss ways to improve communication and efficiency in election administration in the State of Texas. Secretary Whitley heard from both party chairs on issues relating to anticipation of higher turnout in future general elections, as well as primary election administration, in which both the Secretary of State's office and political parties have statutorily-created administrative roles. All meeting participants agreed to work collaboratively and enhance coordination in order to better serve Texas voters in future elections. 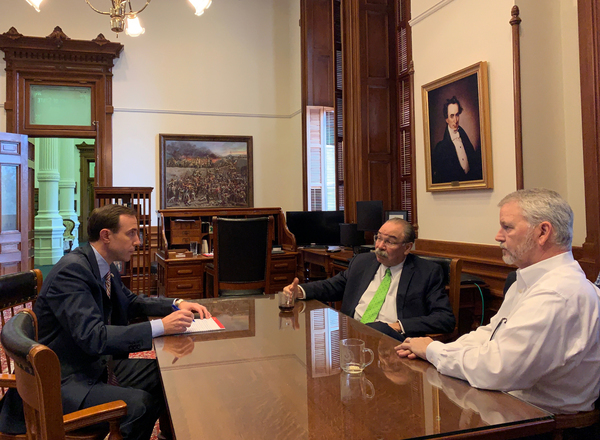 "I would like to sincerely thank Chairman Hinojosa and Chairman Dickey for meeting today, in the spirit of bipartisanship, to discuss strategies for improving the administration of elections in the State of Texas," Secretary Whitley said. "During our conversation, I was extremely encouraged by the dedication of both chairs to ensuring all elections in Texas are conducted in a fair and transparent manner, and that we take every measure to prioritize Texas voters. I am confident we can continue to work together to make election administration more efficient in the State of Texas - from the time a candidate files through the final canvass of votes."